The Last Lid You'll Ever Need. 100% USA Made Replacement Metal Water Bottle Lid and Multi-tool system. Can your lid pop top after top without skipping a beat? Ours can and even better it can also be yours. Turn your water bottle into a camera stand and capture adventures of any size, anywhere! 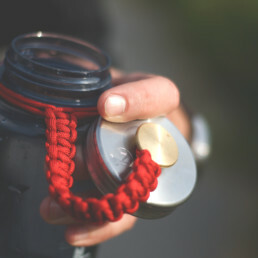 REVOLUTIONIZE YOUR WATER BOTTLE WITH 7 FEET OF 550 PARACORD ROPE, A GOPRO MOUNT, CAMP HAMMER & BOTTLE OPENER. ALL UNDER 65 GRAMS. U.S.A. MADE ALUMINUM. BUILT FOR ADVENTURE. Turn your bottle into something more. 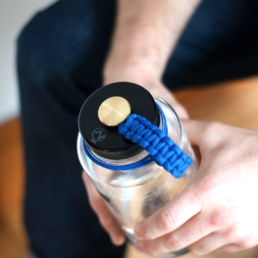 REVOLUTIONIZE YOUR WATER BOTTLE WITH 7 FEET OF 550 PARACORD ROPE, GOPRO MOUNT, CAMP HAMMER, & BOTTLE OPENER. 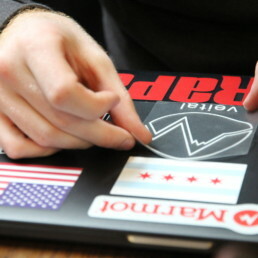 STAINLESS STEEL. BUILT FOR ADVENTURE. Made for the explorer in everyone. GoPro Mount? 550 Paracord? Bottle Opener? Veital products have all this and more. Best of all, they fit most standard wide mouth water bottles and are made in the U.S.A.